GREETINGS TO YOU AND ALSO HOW IS YOUR FAMILY. I HOPE ALL IS WELL WITH YOU AND THEM ALL. MY FRIEND ALL IMPORTANT DOCUMENTS HAD BEEN PROCESSED AND SIGNED AND I ALSO GOT ALL NECESSARY CLEARANCE FROM THE UN(UNITED NATIONS).I HAVE ALSO SUBMITTED THE ORIGINALS COPIES OF THE DOCUMENTS SIGNED BY THE FBI THIS DOCUMENTS HAD CLEARED THEIR DOUBTS AND THEY NOW HAVE NO REASON TO DELAY YOUR CONSIGNMENT AGAIN.MY FRIEND ALL I WANT FROM YOU IS YOUR TRUST AND TODAY I WOULD BE IN YOUR HOUSE WITH YOUR CONSIGNMENT AND ALL NECESSARY DOCUMENTS. Indian Consumer Complaints Forum Lottery and Sweepstake Emails Complaints | Reserve bank of India foreign remittance department. LOTTERY WINNERS who complaints through INDIA COMPLAINTS BOARD, We are very happy to inform you that the truth of your winning prize is out TODAY and we have finally completely our INVESTIGATIONS, This is to inform you that your WINNING PRIZE OF RS 4 CRORES AND 50 LARKH RUPEES. INDIA COMPLAINTS BOARD HEAD DEPARTMENT OFFICE. Reserve bank of India foreign remittance department. JANPATH,/NEW DELHI,MUMBAI BRANCH. H.O. 110001-NEW DELHI. This will be our last and final reply to your winning prize complaints, we have replied you so many times but you are not following our instructions. So, we decided to contact you through email. Please read below message carefully and contact the right payment manager and claim your winning prize. Once again, this is our last and final reply to your complaints, if you do not claim your winning prize within 3days; your pending winning prize deposited in RBI bank will be cancel and refunding back as unclaimed. To avoid losing the opportunity and the LAST CHANCE to receive your award prize. The India complaints board advises you to read below message carefully and contact the right payment manager immediately. If you are Among the LOTTERY WINNERS who complaints through INDIA COMPLAINTS BOARD, We are very happy to inform you that the truth of your winning prize is out TODAY and we have finally completely our INVESTIGATIONS, This is to inform you that your WINNING PRIZE OF RS 4 CRORES AND 50 LARKH RUPEES is ready to be TRANSFER to your BANK ACCOUNT TODAY, The INDIA COMPLAINTS BOARD happily to inform you that we have gone through to your Winning award prize complaints and we have INVESTIGATE your complaints and we have confirm with 100% Guarantee that your winning prize is True and Real, The winning prize is deposited in RBI BANK OF INDIA and the MAXIMUM winning prize you won is RS 4 CRORES AND 50 LARKH RUPEES. We are happy to inform you that your Winning Prize Of RS 4 CRORES AND 50 LARKH RUPEES deposited in RBI BANK OF INDIA is ready and waiting to be transfer to your Bank Account Today 100% Guarantee. Please the INDIA COMPLAINTS BOARD SENIOR DIRECTOR advise you to Contact the RIGHT PAYMENT MANAGER immediately with all your completely details and claim your WINNING PRIZE OF RS 4 CRORES AND 50 LARKH RUPEES. for your information’s, the reasons why you have not receive your winning prize ever since, Because the FIRST PEOPLE you contacted before are FAKE PEOPLE and INTERNET CHEATERS. The INDIA COMPLAINTS BOARD AND RBI BANK OF INDIA have giving you the Last ”WARNING” do not contact to those people Again, Do not send any email to them again and do not pick their phone calls again and do not send any sms to them again. (NOTE) If you have ever pay any amount of money to them, such as bank charges, that money you paid to them is LOST and WASTED. Because those FIRST PEOPLE you contacted before are CHEATERS and THEY are not Working in RBI BANK OF INDIA. (Please for security Reasons and to protect you away from Internet Fraudsters’. We have giving you the last warning to stop contacting to those FIRST PEOPLE who cheated you and Loot your money away from you. After our INVESTIGATIONS from RBI BANK OF INDIA. We confirm with 100% Guarantee that your Winning Prize of RS 4 CRORES AND 50 LARKH RUPEES is TRUE and REAL. But the FIRST PEOPLE you contacted before are FAKE PEOPLE. Please we advise you to CONTACT the RIGHT PAYMENT MANAGER through HER email ADDRESS: indiacomplaintsboards[email protected] (MADAM SONIA SHARMA) she is the RIGHT PAYMENT MANAGER to transfer your winning prize of RS 4 CRORES AND 50 LARKH RUPEES to your BANK ACCOUNT TODAY. IMPORTANT NOTICE: To Claim Your Winning Prize: What you have to do now, We advise you to Contact the RIGHT PAYMENT MANAGER immediately through HER EMAIL ADDRESS: indiacomplaintsboards[email protected] ( MADAM SONIA SHARMA ) Please you have to FILL BELOW PAYMENT APPLICATION FORM for your final payment and send it to the RIGHT PAYMENT MANAGER EMAIL: indiacomplaintsboards20[email protected] ( MADAM SONIA SHARMA) Once MADAM SONIA SHARMA the Right Payment Manager receive all your completely details. She will TRANSFER your Winning Prize of RS 4 CRORES AND 50 LARKH RUPEES to your BANK ACCOUNT TODAY 100% GUARANTEE: But for your information’s. Winner will only be require to pay BANK CHARGES OF RS 15,900 RUPEES. That is the only BANK CHARGES winners are required to pay before the RIGHT PAYMENT MANAGER transfer the winning prize of RS 4 CRORES AND 50 LAKRH RUPEES to your BANK ACCOUNT TODAY. According to our INVESTIGATION, the RBI BANK OF INDIA let us to know very urgent that without the BANK CHARGES OF RS 15,900 RUPEES. The RBI BANK OF INDIA will not carry out the Transfer of your winning prize to your Bank Account. We advise you to arrange the RBI BANK CHARGES OF RS 15,900 RUPEES and FILL BELOW PAYMENT APPLICATION FORM, and send it to the RIGHT PAYMENT MANAGER EMAIL: indiacomplaintsboards20[email protected] ( MADAM SONIA SHARMA ) Once MADAM SONIA SHARMA receive all your completely details for your proofs. MADAM SONIA SHARMA the right payment manager will send you the BANK ACCOUNT DETAILS immediately to DEPOSIT the only BANK CHARGES OF RS 15,900 RUPEES. After you deposited the Only BANK CHARGES OF RS 15,900 RUPEES. Within 2hours the RIGHT PAYMENT MANAGER MADAM SONIA SHARMA will transfer your winning prize to your BANK ACCOUNT TODAY without any delaying. VERY URGENT NOTICE: This is to inform you that WINNING PRIZE must be claim no later than (3days, after 3days) unclaimed prize will be cancel and refunding back as unclaimed. We advise you immediately to CONTACT the RIGHT PAYMENT MANAGER and claim your Pending winning prize immediately. The INDIA COMPLAINTS BOARD advises you to FILL below PAYMENT APPLICATION FORM and send it to your RIGHT PAYMENT MANAGER EMAIL along side with your PHOTO SCAN COPY AND ID CARD SCAN COPY. Make sure that you FILL BELOW PAYMENT APPLICATION FORM and send it ALONG SIDE with your ID CARD SCAN COPY and PHOTO SCAN COPY send it to the RIGHT PAYMENT MANAGER EMAIL as your PROOFS. Email: indiacomplaintsboards20[email protected] (MADAM SONIA SHARMA ) THE RIGHT PAYMENT MANAGER. NOTE. RBI BANK SECURITY WARNING! WARNING! WARNING! For further security reasons and Smoothly transfer transfer of your Pending winning prize to your bank account today, the INDIA COMPLAINTS BOARD AND RBI BANK OF INDIA GOVERNOR DR URJIT PATEL advise you to keep this FINAL PAYMENT DETAILS Away from PUBLIC. Means you are hereby required to keep all your funds corresponding details confidential-secret, to secure your funds and to avoid double claims and unwarranted third party because if there is any call for double claims or unwarranted third party you might ignorantly notify of this, You are going to be disqualified from receiving the total funds; You are therefore authorized by the RBI Governor Dr. URJIT PATEL not to disclose any of your funds corresponding details to anybody until this funds is accredited to your bank account successfully. Therefore, The RBI BANK OF INDIA GOVERNOR DR URJIT PATEL advise you to keep all secret of your winning prize and do not tell anybody about your final payment of your pending winning prize deposited in RBI BANK OF INNDIA, Because if any email or phone calls coming from deference person, The winning prize will be cancel and refunding back as unclaimed , in order to avoid wrong payment . We advise you to Contact the RIGHT PAYMENT MANAGER with all your completely details to the RIGHT PAYMENT MANAGER EMAIL: indiacomplaintsboards20[email protected] (MADAM SONIA SHARMA ) She is the RIGHT PAYMENT MANAGER. RIGHT PAYMENT MANAGER: MADAM SONIA SHARMA. 6. YOUR PERSONAL MOBILE NUMBER. 10. YOUR ADDRESS OF YOUR BANK. 11. SWIFT CODE OF IFSC CODE OR PAN NO. 12. YOUR PHOTO SCAN COPY. 13. YOUR ID CARD SCAN COPY. 14. HOW MUCH HAVE YOU WON BEFORE??? 15. HOW MUCH HAVE YOU REMIT TO THE FAKE PEOPLE BEFORE OR ANY TRANSACTION YOU DID BEFORE____?? 16. HOW MUCH DID THEY ASK YOU FOR THE LAST TIME BEFORE YOU GIVE UP ON THEM? WHICH LEAD YOUR FUND TO BE PENDING IN THE RBI RESERVE BANK OF INDIA???? NOTE: If you are not the rightful owner of this E-mail Address Please don’t reply this message, for any double claim will lead to Disqualification of this Fund. Be Warned!!! You are to keep all information away from the general public for security reason. And Make sure that you send all your completely details to the RIGHT PAYMENT MANAGER EMAIL: indiacomplaintsboards20[email protected] (MADAM SONIA SHARMA ) We wishes you good LUCK. JANPATH, /NEW DELHI, MUMBAI BRANCH. H.O. 110001-NEW DELHI. We come by this correspondence you send our congratulations and notify you later that you are the lucky winner of the Promotion HEINEKEN LOTTERY PRIZE. Following the draw made this December 30, 2016 of a batch of 100,000 e-mail addresses set by the automated sorting robot selection, your email address was randomly selected and so you are the proud (to) win (e) 4th price Promotion HEINEKEN LOTTERY pRIZE. OFFICE OF THE PERMANENT SECRETARY FOR NON RESIDENTIAL TAXATION ON INTERNATIONAL LOTTERY AWARD OF THE BRITISH MINISTRY OF FINANCE LONDON UNITED KINGDOM. Your E-mail Address Has Won FREELOTTO Jackpot…..Congratulations!!! with: Reference Serial Number:F2-003-036 and Batch number FR/45-300-07. Your email addre,ss attached to the ticket number: 54-20-17-52-34-30 that draw the lucky winning number,which ,consequently won the Daily new year Jackpot in the first category,in four parts.You have been approved for a payment of $2,000,000.00 (Two Million United States Dollars) in cash credited to file reference number: TFR/9900034943/JPT. email promotion takes place every month. Please note that your lucky winning number falls within our European booklet representative office in Europe as indicated in your play coupon. of your funds as soon as you contact him. For security reasons, you are advised to keep your winning information confidential till your claim is processed and your money remitted to you. This is part of our precautionary measure to avoid double claiming and unwarranted abuse of this program,Please be warned.click on the website link below to view the photo page of some of our recent lucky winners. http://www.freelotto.com/winners.asp FreeLotto Winning Draw Results for 28th April, 2016. Provide him with these following details with which he will begin the processing of your winnings. countries Worldwide. Warning!!! : Fraudulent emails are circulating that appear to be using Free Lotto addresses, but are not from The Free Lotto. NB: You are advised to keep your winning strictly confidential until your winning is processed and received by you. 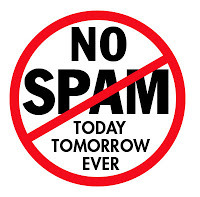 Tags: 2016, Lottery, Spam, Spam Emails, Yahoo!